The bot is the latest in a long line of image recognition programs the company has tested on the public, including self-esteem damager How Old Do I Look? and the vital dog recognition application What Dog? This time, though, Microsoft is going for the holy grail of image recognition, tasking the bot with verbally identifying the contents of a pic. 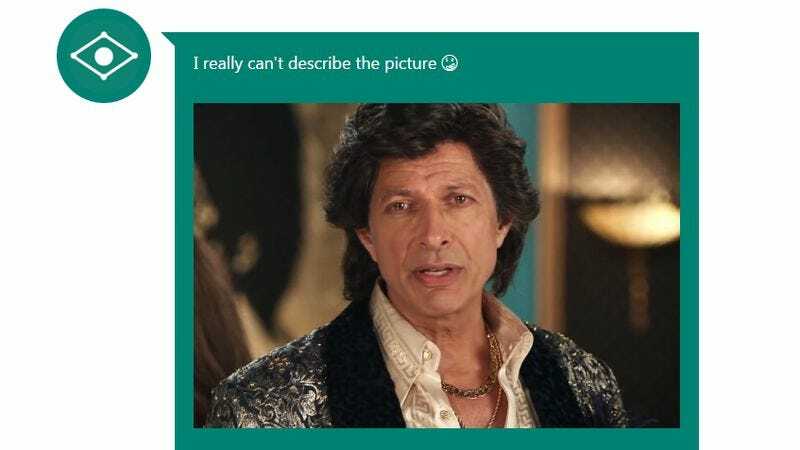 And even though CaptionBot is pretty upfront about its own work-in-progress nature, people on Twitter have been quick to pass around some of its more embarrassing failures. On the plus side, the program’s almost as good at celebrity recognition as it is at imagining fictitious cellphones, or overestimating the happiness in people’s expressions. That’ll do, CaptionBot. That’ll do.